Once the wedding ceremony is over, and you have both said 'I do', it is time to relax and celebrate such a momentous occasion. Here at Kempinski Hotel Soma Bay, we offer newlyweds a wide choice of beautiful venues to host their reception, where friends and family can come together to dine, drink and dance the night away. Our attentive staff will be on hand throughout, ensuring your reception is nothing less than perfect. From elegant ballrooms to luscious grounds surrounded by lagoons and palm trees, Kempinski Hotel Soma Bay has exceptional locations for your reception. Feel the sea breeze while you celebrate in the unique Al Mar. Our open-air venue is unlike any other, with space for up to 400 guests, live music and a plenty of room for any kind of dining set-up - from our wedding buffet to our unique set-menus, every aspect can be designed around your tastes. More intimate than Al Mar, but equally as wonderful, is La Pergola. Inspired by the Mediterranean, and with both an outdoor and indoor space, you and your guests can expect nothing less than five-star service from our staff and views over the marina. A spectacular indoor venue, the lavishly appointed Seashell Ballroom is available as one large reception space or two separate, but equally stunning, halls. Graced with glimmering chandeliers, large windows and glamorous décor, our exclusive venue has space for a maximum of 400 guests. If you are looking for something to suit a smaller or larger party, please don't hesitate to get in contact with a member of the Kempinski team in Soma Bay. We have various venues of all sizes within the hotel, and we are sure we can find the perfect place to make your reception truly unforgettable. Thanks to our beautiful location, we are also delighted to offer guests venues outside the hotel grounds, including places such as Soma Bay Marina and secluded beach areas - ideal for small parties or those looking to host their ceremony by the sea. buffet-style dining, delicious set menus or, on request, tailored menus created by our expert in-house chefs. With panoramic mountain views, crystal-clear waters and a truly peaceful location, Soma Bay is the ideal spot for a honeymoon. Whether you want to extend your stay after your wedding or visit once you have finished celebrating back home, Kempinski Hotel Soma Bay will ensure your romantic getaway is as enchanting and memorable as possible. There is both peace and tranquility and a sense of adventure to be found at this Egyptian coastal resort. 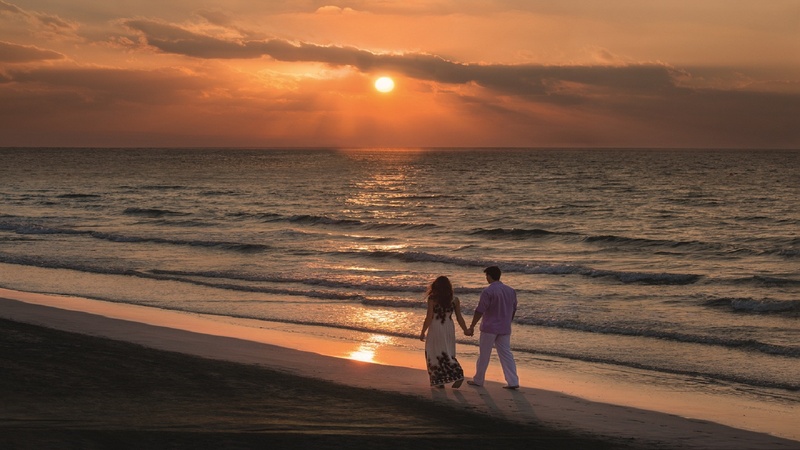 Pure white beaches, a luxury spa and year-round sunshine make relaxation easy, but the waters are ideal for couples who love to stay active too. A wide range of sports can be enjoyed, from parasailing to kite surfing, and below the water, explorers will love snorkelling and scuba diving - discovering the depths of the Red Sea and the beautiful marine life of Soma Bay really is a must. Alternatively, honeymooners might prefer to view our Romantic Delights package. Find out more here. For more information, or to speak to a member of our team about your wedding in Soma Bay, call +20 65 356 1500 or email meetings.somabay@kempinski.com.